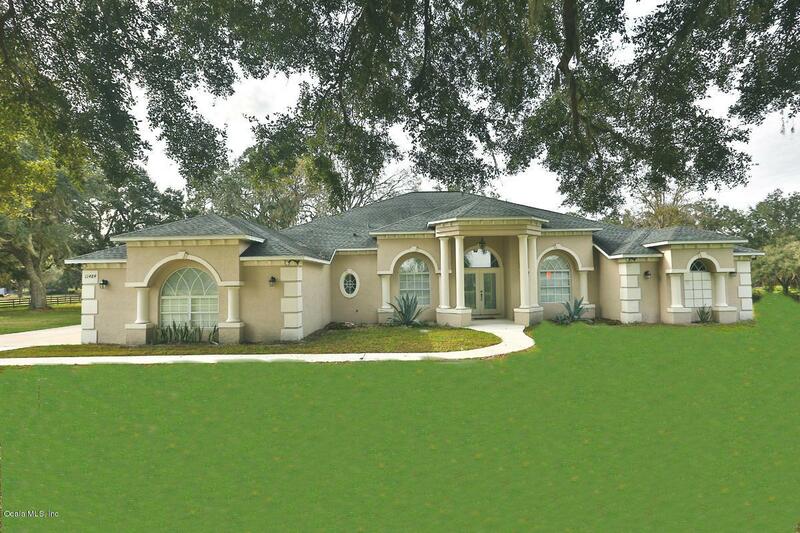 This elegantly built comfortable home is located 10 acres. 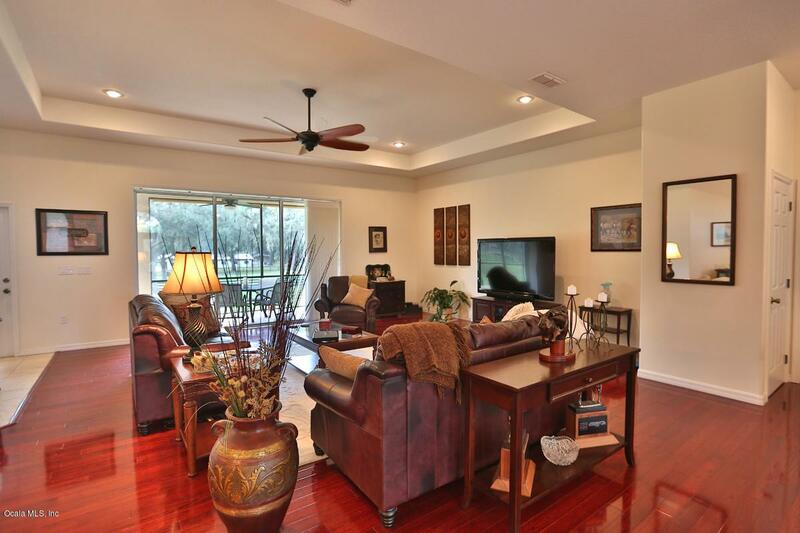 The home includes 3 Bedrooms, 2 baths, beautiful wood and marble floors throughout the home. The open chef's kitchen overlooks a family gathering room, expansive lanai and lush green pastures. Master suite features his/hers closets with luxurious bath. Split floor plan offers privacy. 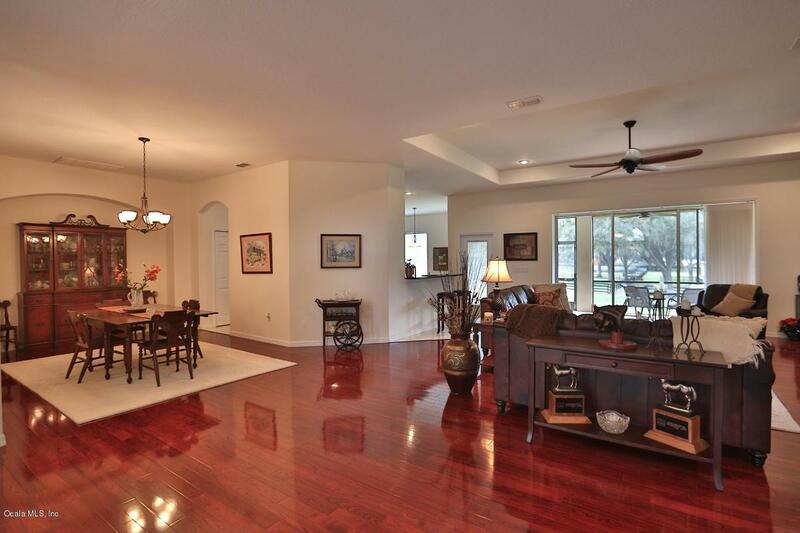 Equestrian Features: Custom built ''T'' shaped barn with 16 stalls, center aisle feed room, tack room. 3/2 mobile home, 5 paddocks, open equipment building perfect for your machinery. Two RV hook-up sites. 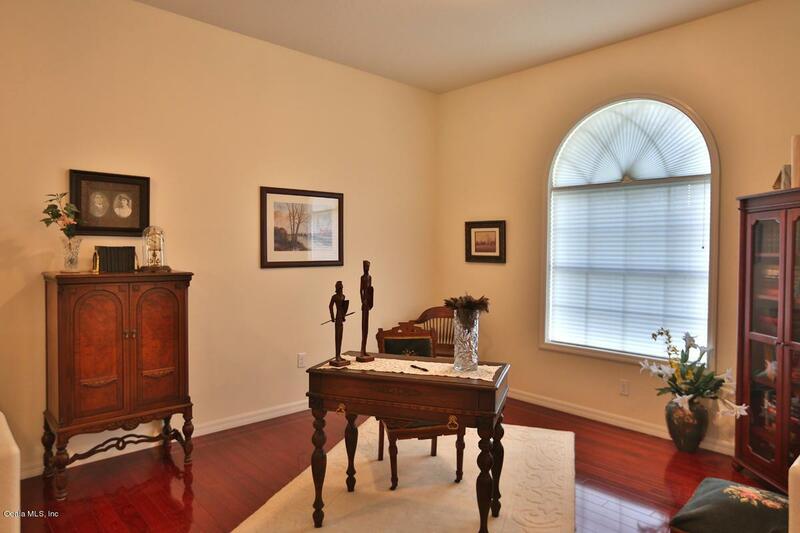 Property is fenced and crossed fenced.Conveniently located between Ocala and the Villages.